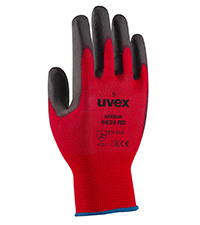 uvex SelectToGo is a cost-effective three colour coded safety glove range, based on the European Standard EN388:2003 cut resistant test, which offers a visual, simple and memorable system to help you and your employees choose the right glove for the job. 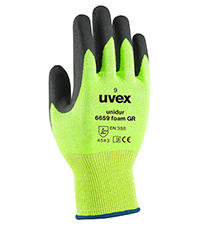 Cut level 1: Low-level cut protection, suitable for low-risk jobs and available with 3 different coatings designed to offer the deal grip in different workplace environments. 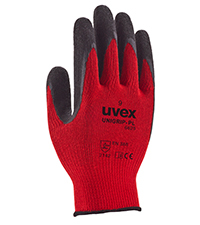 Cut level 3: Medium level cut protection, ideal for moderate level cut risk. Green - Good to go! Cut level 5: The highest level of cut protection, ideal for potentially hazardous jobs. 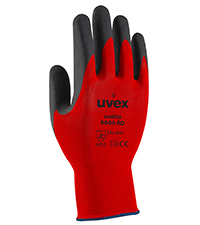 Available with a range of coatings to offer the ideal grip in different workplace environments. 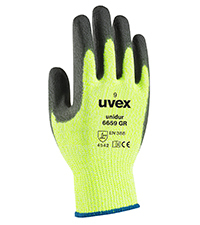 The uvex SelectToGo works well in numerous workplaces which require a mix of cut protection levels e.g. construction and related trades, engineering, manufacturing, warehousing/logistics; and automotive.